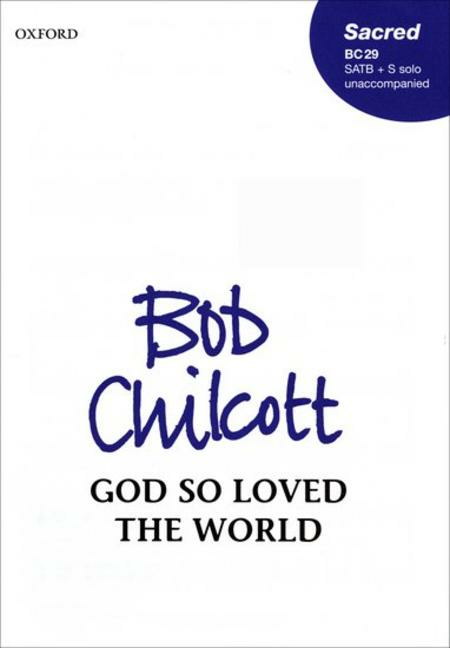 Composed by Bob Chilcott. Mixed Voices. Sacred, Choral Leaflet. Vocal score. 4 pages. Duration 3'. Oxford University Press #9780193432765. Published by Oxford University Press (OU.9780193432765). ISBN 9780193432765. 10 x 7 inches. This is a beautiful piece of music, reflective in nature. There are a few "close harmonies" but not too difficult at all - something a choir would enjoy singing. solo above the four part choir. This simple, yet beautiful setting is a wonderful alternative to that which was composed by John Stainer.